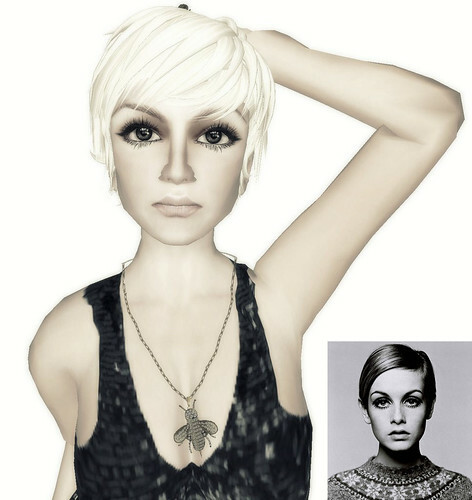 My Second Life on the D-list: Twiggy! Looks great Ding! I love it! Oh that's perfect! Love it! Oh, she's my favorite model of all time! Well done! The eyes are to die for. But I can't wear it for long until I feel the need of a bag of cookies. Can you make a 90's model? A little more meat on her bones? Anon: I made twiggy thin because she's thin. lol, I will take your suggestion for making a meaty model. /me agrees with everyone. It's awesome, Ding, congratz!